Chris O'Shea is not only a talented actor, but he's a true testament to the fact that making it in Hollywood involves a bit of luck and timing. While on holiday from his home town of Sussex to visit his brother in Los Angeles, Chris had attended an acting workshop on a whim, which led to instananeous bookings and meetings with the highest profile talent agencies in the business. Chris has since been recurring on hit TV series Madam Secretary as Jareth Glover, as well as meaty roles in Babby Daddy, Patriots Day, and feature film Gone. Joe Wolosz is the Vintner of Napa Valley's Gentleman Farmer Wines, a man whose long and impressive career has taken him from working in restaurant kitchens, to studying oenology and viticulture at UC Davis, and running his own hotel and wine label. 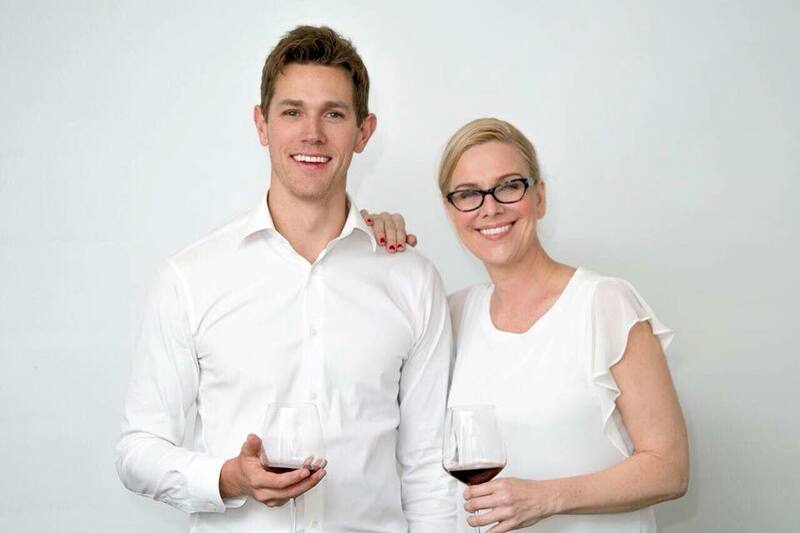 Joe's a restless creative spirit who seeks excellence in everything he does, and he and Sarah recount the arc of their longtime friendship while sipping the latest vintages of his delicious Chardonnay and Cabernet Sauvignon. Actors Whitney Bowers and Newton Mayenge exemplify what it's like to take the business portion of show business by storm. The dynamic acting duo talks about what they do to stay on top of their game while pursuing one of the most difficult endeavors in the world. Actor, singer, dialect expert extraordinaire, Amy Walker continues to astonish with her vast range of talents! 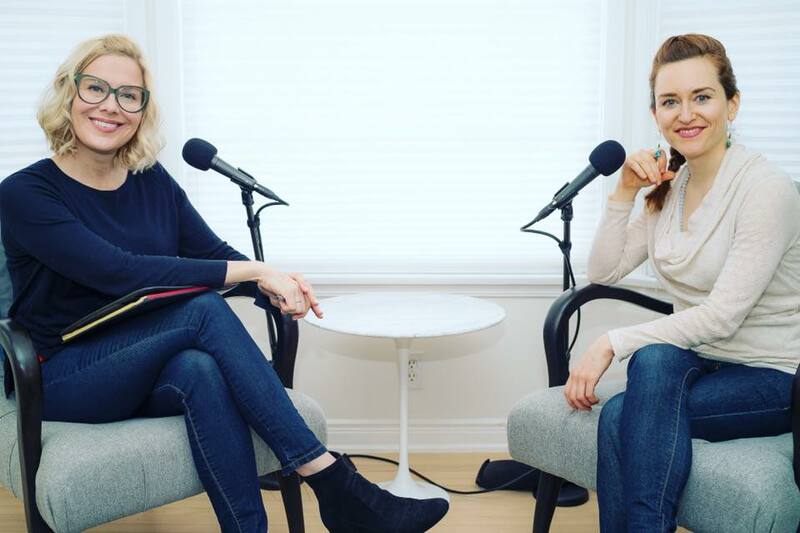 Amy talks about her famous YouTube video "21 Accents", now with over 11 million views, as well as her appearances on Tedx, NPR, the Today Show, and collaboration with Jack White. Amy also talks about her exciting upcoming projects in the world of film and TV, her upbrining in Seattle, and the life cycle of Salmon. 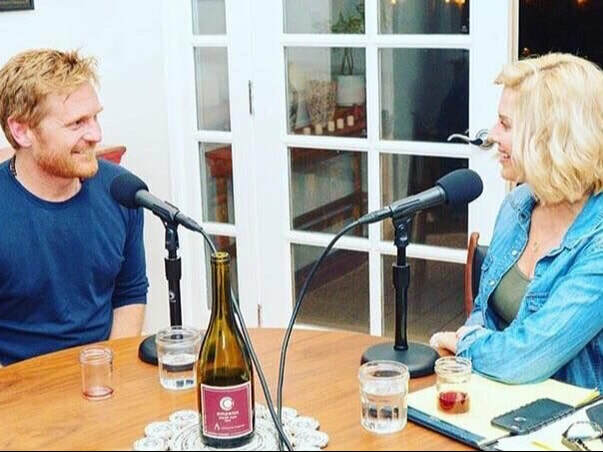 The versatile and multitalented Scott Butterfield makes the rarefied subject of wine seem eminently approachable, whether it's in his short stories, novels, films, or as wine director of Studio City's Flask Fine Wine and Whiskey. 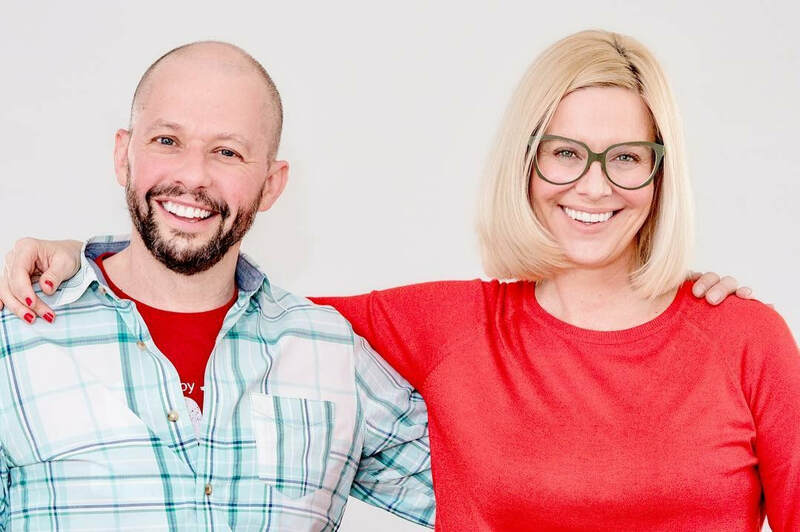 In this wide-ranging conversation, Scott shares his secret for finding the balance necessary to complete any project he starts. Comedian Jimmy Shin's extraordinary journey began at the age of seven, when his father created a vision board on Jimmy's behalf titled, "James Shin, Attorney at Law". That vision board has now been revised to "Jimmy Shin, #1 Comedian in the World". 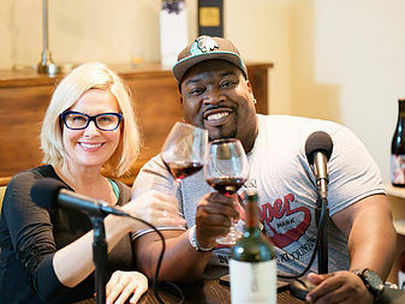 ​Actor-Comic, Ricarlo Flanagan, keeps it humble, real, and cool as he sips Prosecco with Sarah J! Ricarlo talks about hitting the ceiling in the Michigan comedy scene before making the move to LA. Ricarlo had immediate success as a semi-finalist on NBC's Last Comic Standing before rolling in some nice acting gigs, including his current recurring role as Davey, on Showtime's Season 8 of Shameless. Egyptologist, and four time EMMY award winning director & cinematographer, Ramy Romany, shares more than gripping and tantalizing stories with Sarah J! Born in Cairo, Egypt, into a documentary-producing family, Ramy had fine crafted his skill of film-making from an early age. He had produced and starred in over 100 documentaries before the age of 20, and was nominated for two EMMY awards for cinematography before the age of 30. Ramy modestly talks about his success, but also the captivating journey along the way. Jon Cryer practices his wine swirling technique as he shares stories of being raised in New York City under the theatrical guidance of his showbiz parents. Jon tells Sarah J. how his dating life had significantly changed following his role of Duckie, in the 1986 romantic comedy, Pretty in Pink. He also talks about various projects he had created to fulfill the lull before landing the iconic role of Alan Harper, on the CBS sitcom Two and a Half Men, for which he has earned two Primetime Emmy Awards. Actor, model, animal rights activist, influencer Iris Almario, stops by DDBH with her adorable dog, Koko! This Colombian-Puerto Rican beauty has taken the world by storm in every category she sets forth, from dancing, winning the title Miss Latina USA, and guest-starring in some of the most successful shows in television such as King of Queens, Jane the Virgin, NCIS, Code Black, and most recently, Nobodies. Iris keeps it real as she shares stories of saving animals from horrific abuse, her New York City upbringing from very hard working parents, her families' struggle in Puerto Rico post hurricane Maria, and the very competitive auditioning process as an actor; which she of course, makes look effortless, especially on the red carpet! Photographer & Film Director Laurence Guenoun, has a compelling and elegant talk with DDBH, Paris! Laurence' ethereal presence resonates with her stunning and evocative photographs of people, events, fashion and life encounters. Her series of short films, "Let Me Tell You a Story" breathtakingly encapsulates the haunting turning point of the lives of various characters. Her documentary film, "O Jardim da Esperanca" (The Garden of Hope) has garnered international acclaim within festivals as well as political, social, and environmental circles. Merci beaucoup d'avoir écouté! Poet, rapper, author, music producer Malik Ameer Crumpler, stops by DDBH, Paris! 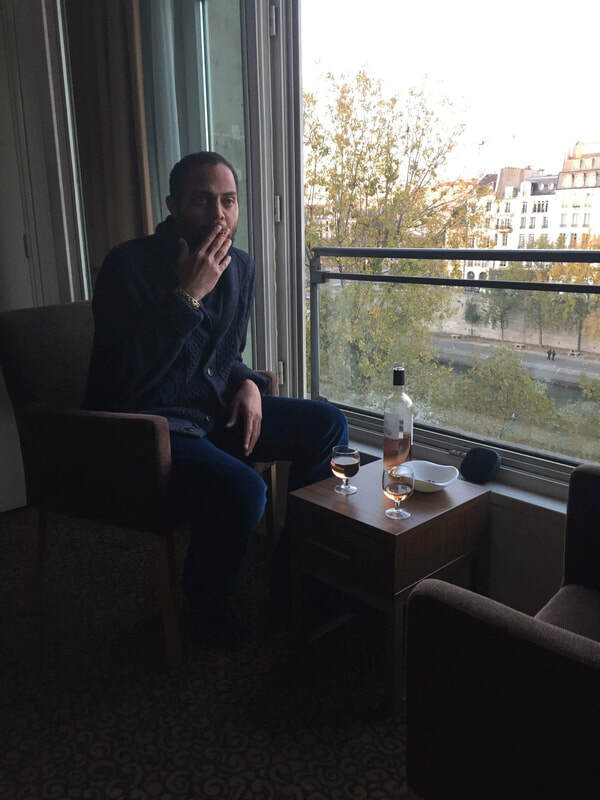 This innovative, edgy, anglophone-expat, originally from Northern California, has effortlessly settled into Parisian life and shares stories of his more than fascinating journey! We talk breakdancing, poetry, rap, ballet, books, comedy, and the synergistic disciplines Malik has acutely discovered from all. Actor, John Pirruccello has done it all! Theatre, voiceovers, commercials, stand up comedy, improv, films, and television shows! Best known for his role of Nick Stavros in HBO's "Phil Spector", Deputy Chad Broxford in Showtime's "Twin Peaks: The Return", and Detective John Loach in HBO's upcoming "Barry". John shares stories of being directed by icons David Mamet, and David Lynch, and how losing his cool in front of co-star Helen Mirren was the best thing to ever happen. Chicago native Gabrielle Walsh, is currently starring in so many television shows, it's difficult to keep count! She plays Sophia in Hulu's East Los High, Tanya in Showtime's Shameless, and Sophia in NBC's The Brave - just to name a few! You may also know her as Monique from CW's The Vampire Diaries and if that isn't enough, she's also the star of blockbuster film, Paranormal Activity: The Marked Ones! Comedy writer, producer, and director JEFF GREENSTEIN, is responsible for some of the most iconic shows in television history. Find out what fueled the creation of Emmy award winning, Will & Grace, Friends, Desperate Housewives, and more. Jeff talks about his latest series, Aim High, coming this fall on AMC, as well as his future aspirations, and how it's always important to have an extra pair of cuff links at the Emmys. 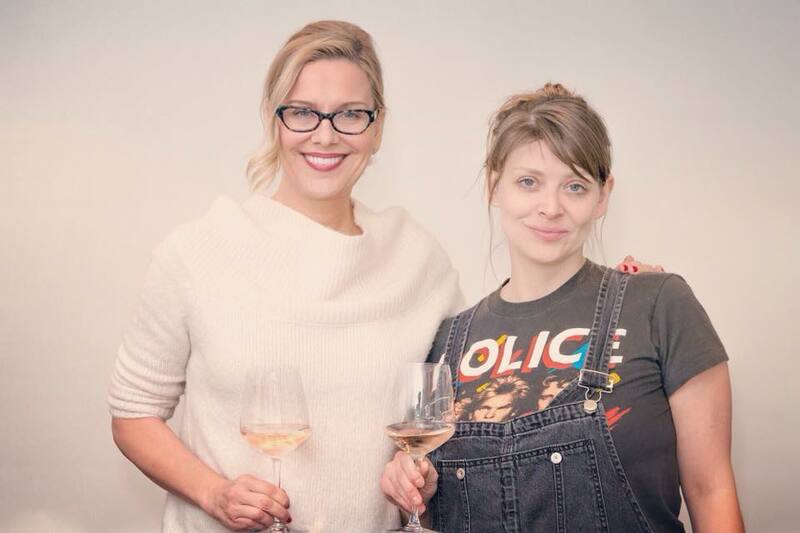 Comedian/Actor ERICA RHODES, known for Prairie Home Companion, VEEP, MODERN FAMILY, @Midnight, and more, shares a lovely Chardonnay with Sarah J as she talks about her new variety show, The NightLight Comedy Show, her process of joke writing, and how the cello will always be cooler than the flute! Documentary Director and Producer ADAM SCHOMER, takes time from his more than busy schedule to discuss his latest production HEAL, a riveting film about the power of the mind to heal the body, featuring Deepak Chopra, Bruce Lipton, Marianne Williamson, and more. Adam is also premiering his TV docu-series, THE ROAD TO DHARMA, a daring motorcycle adventure into the Indian Himalayas. Comedian-story teller STEVEN BRIGGS, preps for his upcoming performance for the troops in Guantanamo Bay, by taking a pitstop to DDBH Studio. Steven shares stories of how being sent to Military school at fifteen was no joke, the similarities of stand up comedy and long distance running, and when it's not ok to take a bite out of an Oscar Meyer sandwich. 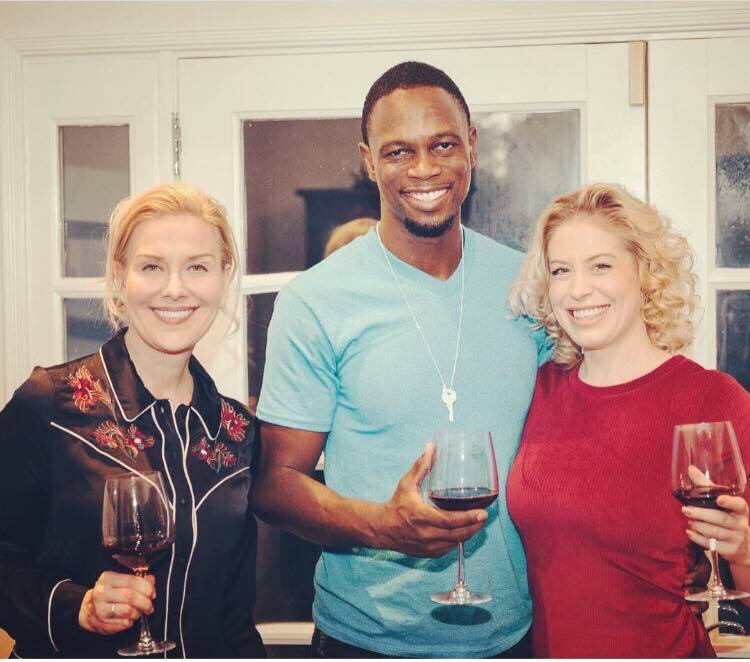 Comedian and Actor JAY WASHINGTON, stops by DDBH to share snippets of his fascinating journey over a bottle of hearty Malbec with Sarah J! This Chicago bred, former professional wrestler, opens up as majestically as the wine as he talks about what drives his fierce work ethic; weather it be working for White Castle, Chem Lawn, various comedy clubs, or opposite Wesley Snipes in Spike Lee's Joint, Chi-Raq! 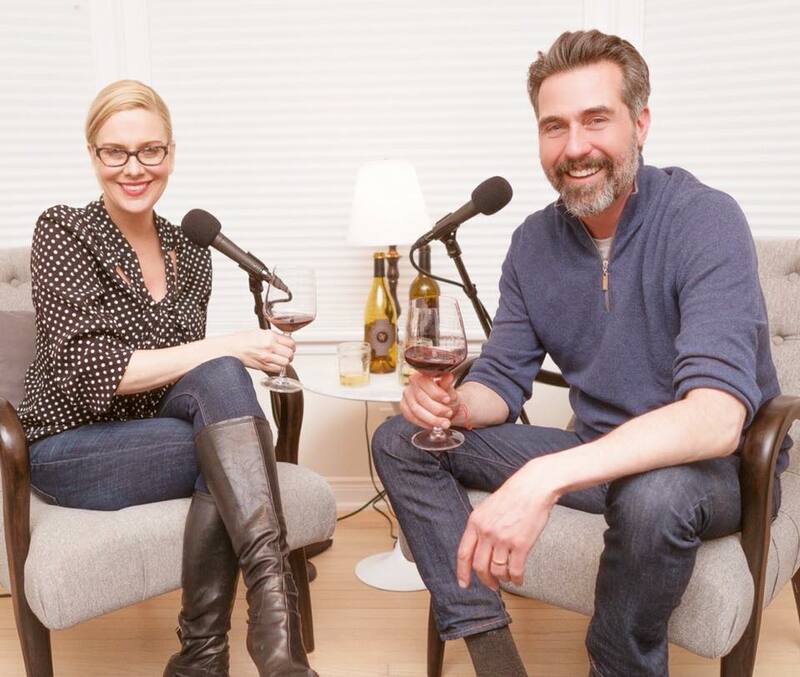 Grammy nominated saxophonist Mindi Abair, and her beau, wine expert, Eric Guerra, stop by the studio for a little gargle of AIX Vin de Provence Rosé with Sarah J. It was a celebratory visit with the release of Mindi's latest album with The Boneshakers, "The EastWest Sessions". 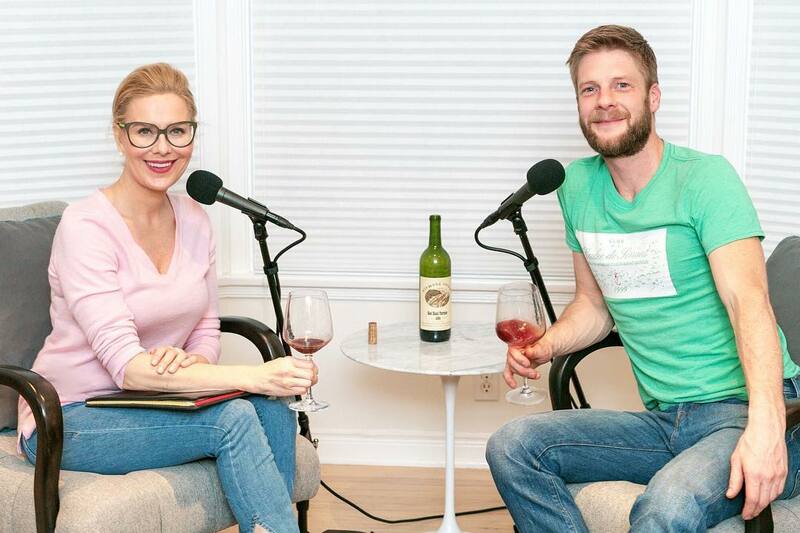 There's some geeking out on wine, legendary musicians, and Mindi's latest hit "Pretty Good for a Girl". 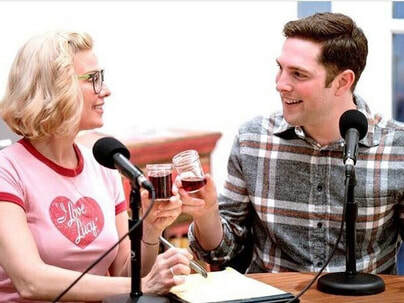 Actor, mom, and college student, DeDee Pfeiffer, stops by DDBH with talent manager, Brandon Kjar, to try a fun wine tasting medley with Sarah J. DeDee discusses the easy decision of taking a hiatus from a successful acting career to raise her two sons, go back to school, and adopt a bully cockatoo. 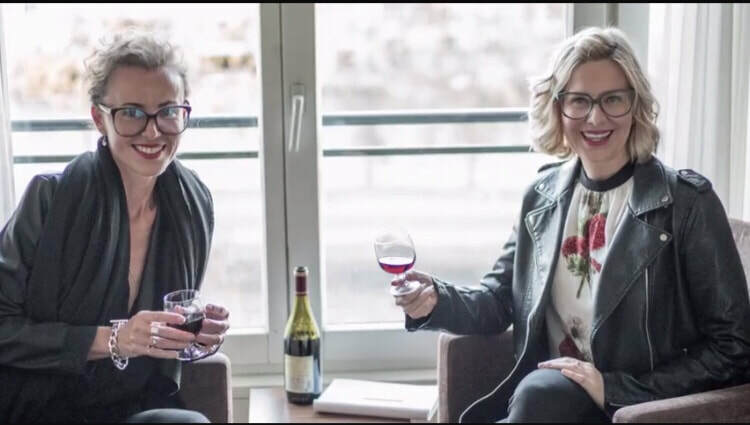 Best selling author Kim Gruenenfelder, takes some time from writing her in-demand, romantic comedy novels, to enjoy a bottle of Pinot Noir with Sarah J during business hours! Kim talks about her challenges with social media, as well as her brief interlude with economics, acting, standup comedy, and swimming with sharks. Singer-songwriter Pete Molinari, stops by Drinking During Business Hours to sip some Champagne with Sarah J. as he reminisces about childhood memories in Chatham, his choice of touring small cafe's vs big shows, and how Charlie Chaplin, Edith Piaf, Arthur Miller, and many iconic greats' have been his biggest influences. Pete also plays some magical tunes and talks about his upcoming album with Linda Perry! Professional wrestler-actor-stunt coordinator Chavo Guerrero Jr, enjoys a fine Pinot Noir with Sarah J. as he talks about his 3rd generation family history in wresting, his 12 x Champion career with WWF/WWE, his most recent position on Netflix' GLOW, family, fitness, and big foot. Comedian Sarah J. introduces herself and briefly explains the antics of the show, her past journey, what eventually led her to Los Angeles to pursue comedy, and what may lead her to drink during business hours.